Looking for a USED CK6120X6000? With over 20 years in machine tools industry, Vulmac Industrial Co., Ltd. are well experted in machine tool technology and marketing. 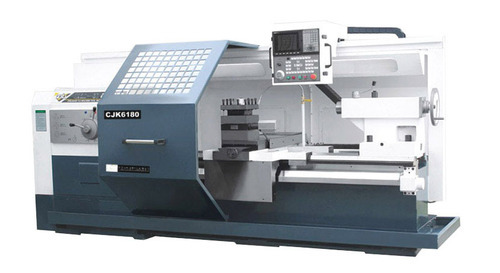 Our main product line includes metal cutting machines such as lathes, milling machines, dilling machines, grinding machines and etc; and fabrication equipments such as shearing machines, bending machines and presses. We also have good resourses of tooling and accessories products. We endeavored to exert top quality controll over every piece of machinery we sold, and established a professonal inspection system over the years. We are well familiar with quality standards of different locations, such as European and American standards, thus ensuring our products suitable for every individual market. Over the years we have built up good fame over the world, and have our own share in many markets. We sell our products to a lot of countries such as the USA, Colombia, Brazil, South Afric, Lebanon, Indian and Singapore. We have a well trained staff of export operation, who are well skilled in processing export documents, customs clearance, and shipping routines. We aim at best machines and perfect exporting services to our customers. Choose us, Choose made-in-China. Looking to Purchase a New VULMAC CK6120X6000?